Formulated for a close, skip-free electric shave. Electric Shave Solution is an advanced formula that creates the optimum surface for smooth, effortless glide. This concentrated liquid lifts the beard for a closer, more comfortable shave while cooling, soothing and refreshing the skin. No rinse-off is required. Helps build a protective glide between razor and skin for effortless electric shaving. Lifts beard for a closer, more comfortable shave. Cools and refreshes skin while helping to soothe and protect. Alcohol Denat., Isododecane, Octyldodecanol, Myristyl Propionate, Coco-Caprylate/Caprate, Cetyl Ethylhexanoate, Octyldodecyl Myristate, Neopentyl Glycol Dicaprate, Cola Nitida (Kola) Nut Extract, Tocopheryl Acetate, Bisabolol, Chamomilla Recutita (Matricaria), Propylene Glycol Dipelargonate, Butylene Glycol, Water\Aqua\Eau, Green 6 (Ci 61565). Best product yet for pre eletric shaving. 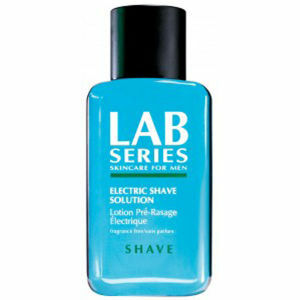 Lab pre electric shave easy to use helps you to get a great shave. I am happy with my purchase, I use it with a Braun series 7 electric shaver as I found that using the shaver alone was causing a little irritation on the neck area and also leaving a small patch on my neck with longer hair ! Using this electric shave solution has helped me achieve a closer shave especially in the neck area with less irritation overall. I do not use my electric shaver everyday as I do like a wet shave every other day for a closer shave but this product certainly serves its purpose on the days I do use my electric and I will most definitely be purchasing again. 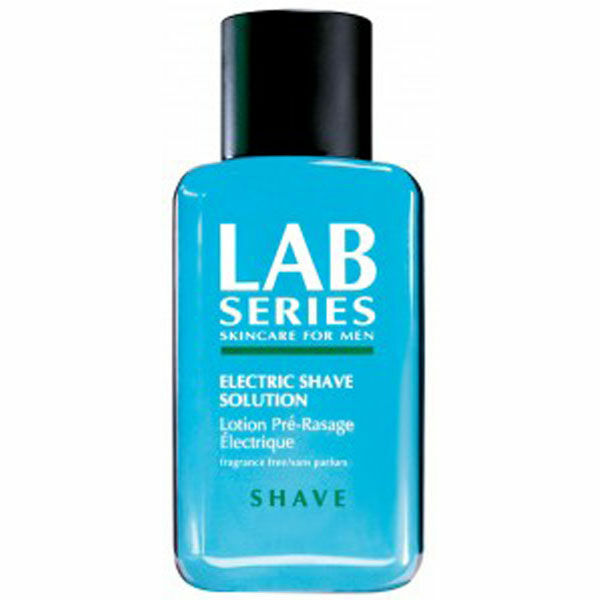 Being ginger haired I have sensitive skin, and after trying many brands of pre-electric products over the years I am happy to use this Lab Series Electric Shave Solution all the time it is available. It's a good product, with good value. I can highly recommend it. An excellent product a little of which makes shaving much smoother and closer. I have used Electric Shave Solution for years, although I tried shaving oil for a while. This gives a good shave and does not clog up the electric razor like the oil does. I have been using the Electric Shave Solution for many years and it is unbeatable. Excellent product which enables my shaver to glide over the skin providing a close shave without any irritation. This pre-electric shave solution maybe one of the more expensive ones on the market but in my opinion it is the best. 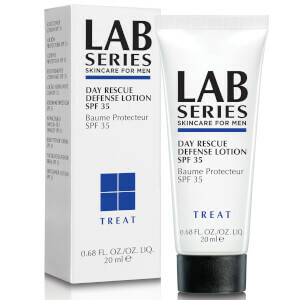 I have really sensitive skin and I've tried many other brands and this one is excellent. It lasts for ages and does an amazing job. Well worth the money. Used to use Clinique's pre-shave and then they stopped making it. This product is great, doesn't dry out my skin at all, really helps to shave closer, and comes in a neat little bottle with safety screw top so you don't lose any when you travel. I use a Philips Smart Touch XL Shaver and tried this product out of curiosity. As the previous reviewer states it makes a significant difference and you only need a small amount each day. My experience would lead me to believe that a bottle should last 3 months even if used daily.